Girls Wear Blue Too: Leaping Blocks and Stripes. Crochet Pattern. Leaping Blocks and Stripes. Crochet Pattern. As I often do, I disregarded the gauge advice; decided my son wouldn't like wool on his head and disregarded the yarn advice too. Lesson learned and obvious once I started ... cotton does not have the give that wool does and a hat that stretches is much more sensible! So my first attempt (shown above), I did not see through to the end, as it was obviously way too small. 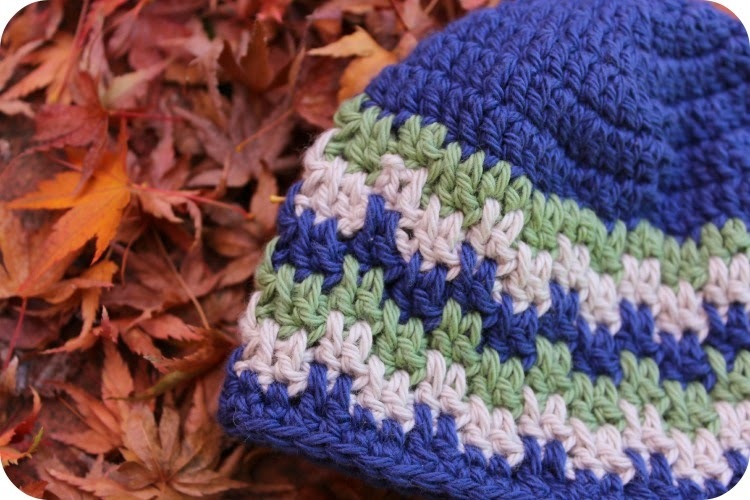 I finished it neatly not working to the end of the pattern with its ribbed brim and now it is off to a sweet little preemie baby via an instagram friend. My attempt with Wool did work up to be bigger than the cotton version, however still too small for my boys head. I don't want to jump up to the suggested ply for this project as that would require a purchase and I want to pull yarn from my stash. My second attempt was made with 8 ply wool, the variegated and navy yarn was Lincraft cosy wool and I don't recollect the brand of the cream. 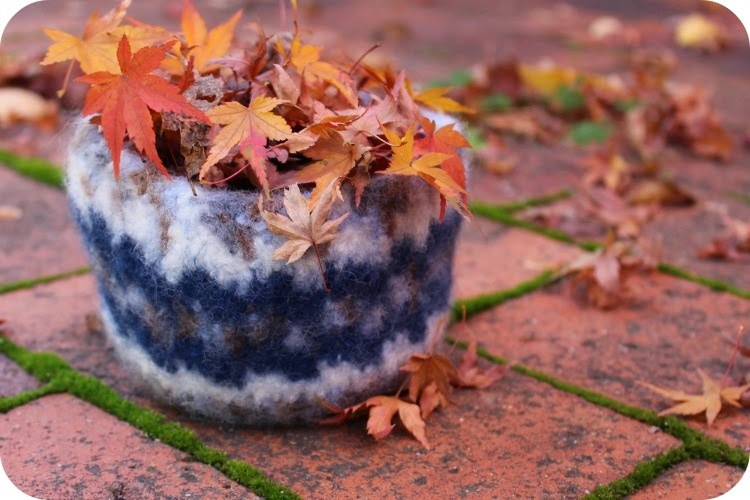 I machine felted it and OMGosh it produced the most gorgeous sturdy felted bowl/bucket. By far my best attempt at felting and it has me curious as to if it was the yarn, the technique, my growing experience or some combination of those factors? In any case I'm feeling eager to do some more. So, my children still have cold ears and I will move on to try a different style. This really is a gorgeous pattern and I have a mind to do some dish cloths with it. Best of all its super easy though looks detailed and potentially complicated! 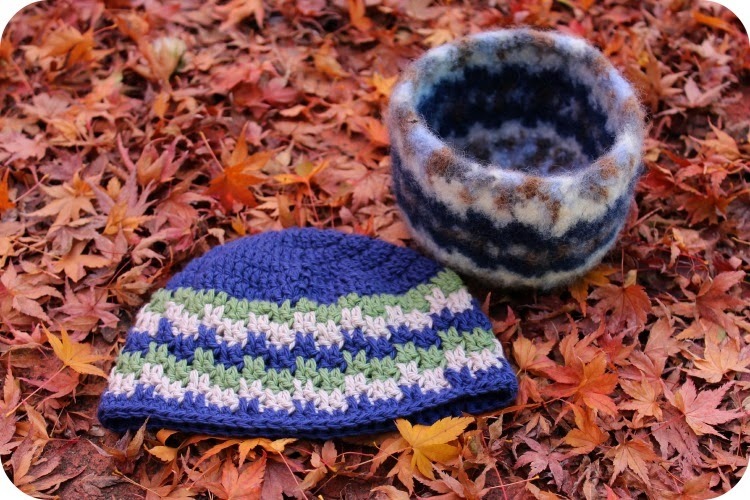 I love your felted hat turned bowl! I have never tried felting, wish to try once at least.